Goetze's Caramel Apple Cow Tales® are made of a delicious, chewy caramel filled with a tart, apple flavored cream center. They taste just like a Granny Smith apple dipped in sweet caramel! 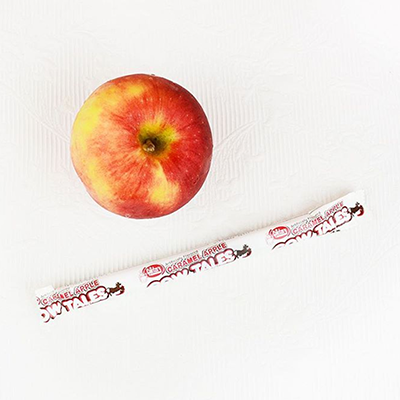 Caramel Apple Cow Tales® are available in 1oz snack sticks at various retailers. 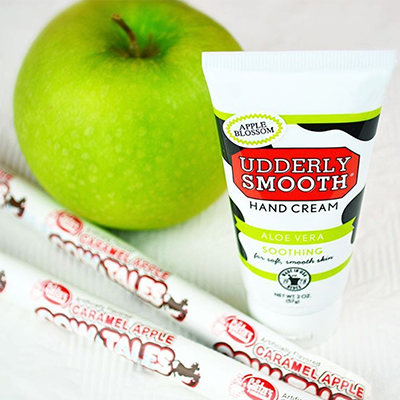 Visit our "where to find" page to find Caramel Apple Cow Tales® in a store near you. To order online, fresh from the factory, visit Goetze's Candy Company's online store. 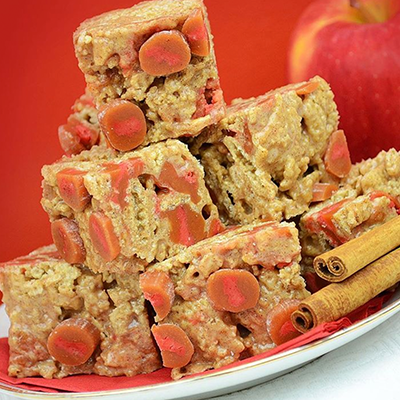 These delicious bars are made with cinnamon rice cereal, marshmallows, and Caramel Apple Cow Tales®. 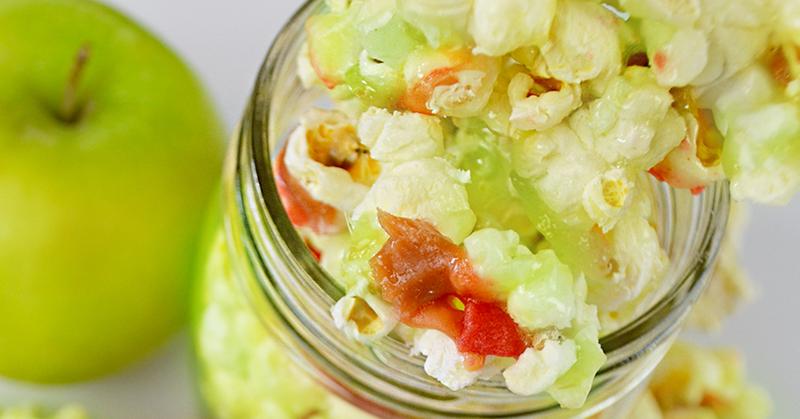 ​Pucker up for this sweet and sour snack made with Caramel Apple Cow Tales® and freshly popped popcorn. 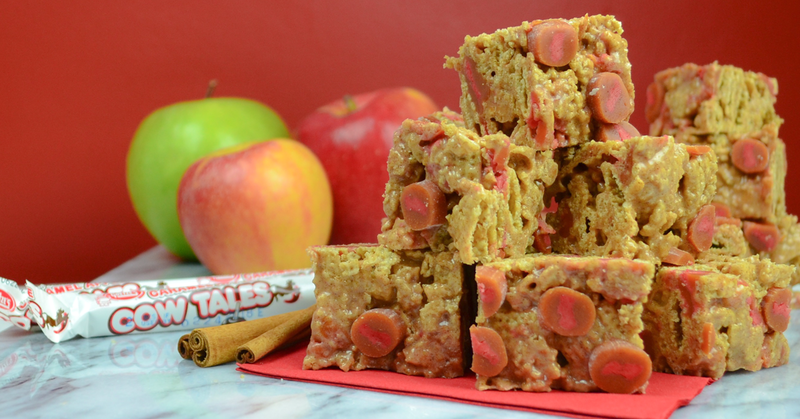 ​A fruity twist to a classic snack, these caramel apple cereal bars are made with apple oats cereal and delicious Caramel Apple Cow Tales®. 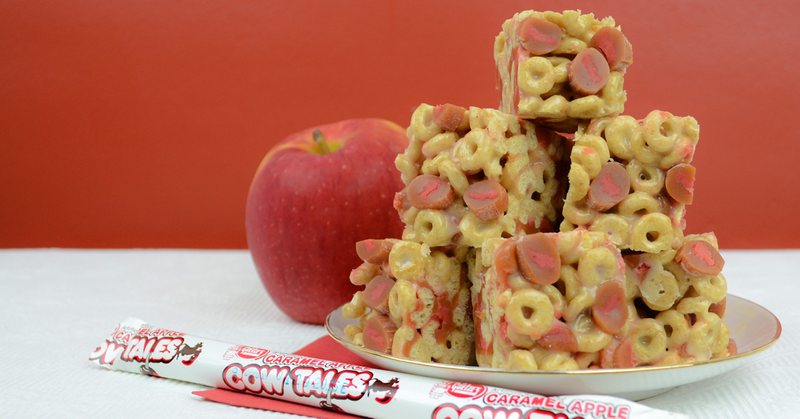 Where can you find Caramel Apple Cow Tales®? 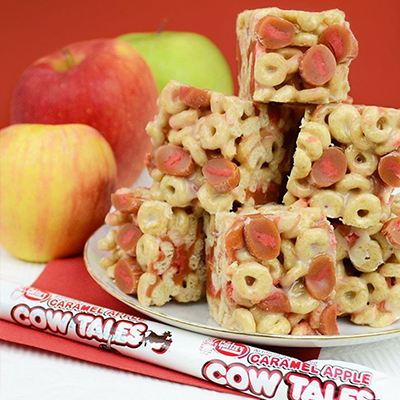 To find Caramel Apple Cow Tales® in a store near you, try our product locator!